You are currently viewing Archived reports for the week of 11 August-17 August 2004. 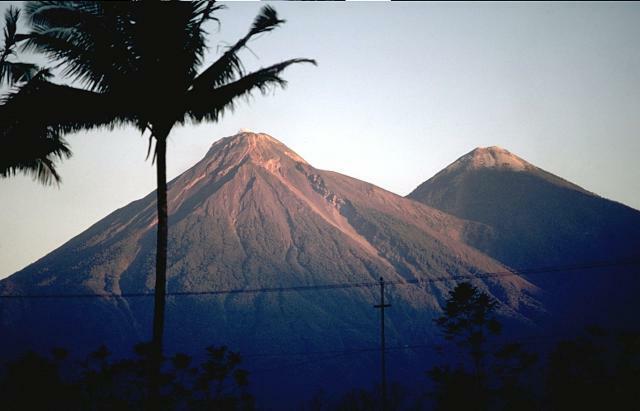 INGEOMINAS reported that volcanic and seismic activity increased at Galeras on 11 August at 2349 when an eruption began that sentan ash-and-gas cloud to an unknown height and generated visible incandescence. According to the Washington VAAC, satellite imagery showed that an ash plume rose to a height of ~10.7 km a.s.l. It spread in all directions, but mainly to the NE, E, and SW. Later in the day, a thin plume at a height of ~7.3 km a.s.l drifted SW into northern Ecuador. A plume also drifted NW at a height of ~6.1 km a.s.l. By 1315 ash was no longer visible on satellite imagery. 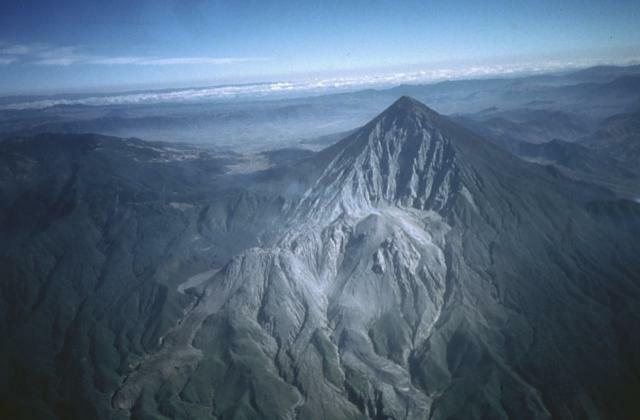 Fine ash was deposited in villages near the volcano including, La Florida (~10 km NW of the volcano), Nariño, Sandoná, and Consacá, and farther afield in Ancuya, Linares, and Sotomayor (~ 40 km NW of the volcano). News articles reported that ~230 families were evacuated mainly from the volcano's N flank. Ash contaminated potable water in some villages, impacted farm animal's health, and left hundreds of dead fish floating in rivers. 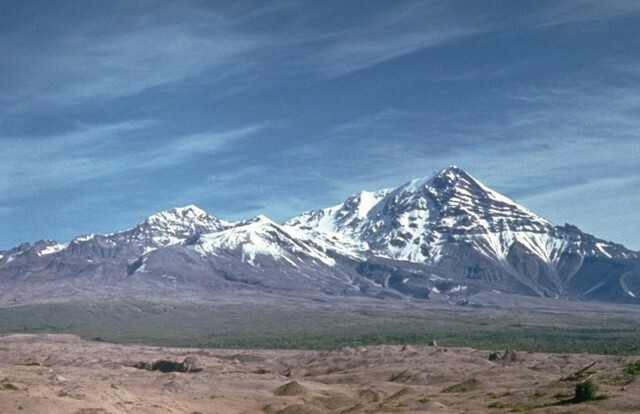 The village of La Florida was most strongly impacted by the eruption. On 16 August, ash emissions continued, depositing ash in several villages. A thin plume was visible on satellite imagery extending ~75 km NW. An eruption began at Piton de la Fournaise on 13 August after an increase in seismicity during 9-11 August. On the 13th, fissures that opened on the upper part of the Dolomieu crater emitted 2- to 3-km-long lava flows that traveled toward the sea. 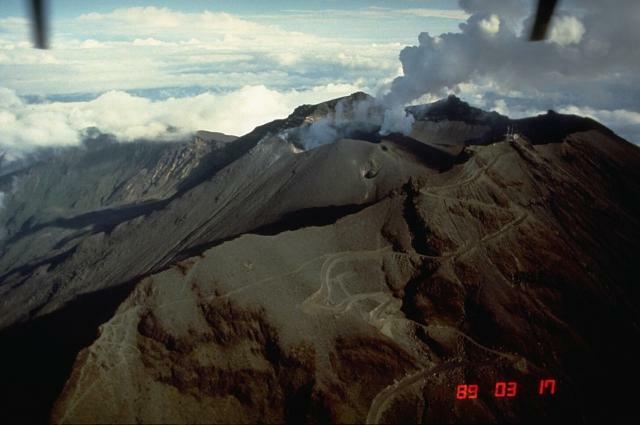 During 11-16 August, dozens of weak-to-moderate explosions occurred at Fuego. The explosions expelled lava blocks to ~75 m above the crater and plumes rose to a maximum height of 1.2 km above the crater. 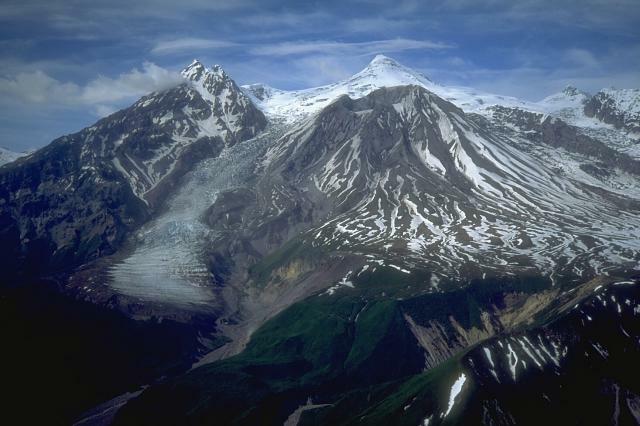 Avalanches of incandescent volcanic material traveled to the mouths of several ravines on the volcano's flanks. Based on information from JMA, the Tokyo VAAC reported that an eruption at Kikai around 1105 on 13 August produced a plume to a height of ~1.2 km a.s.l. The plume drifted NW. 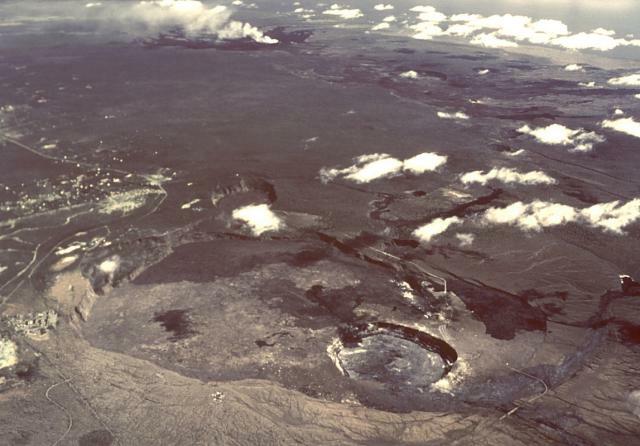 During 11-17 August surface lava flow were visible on Pulama pali, and the vents in the crater of Pu`u `O`o were incandescent. Lava had not entered the sea since 4 August. 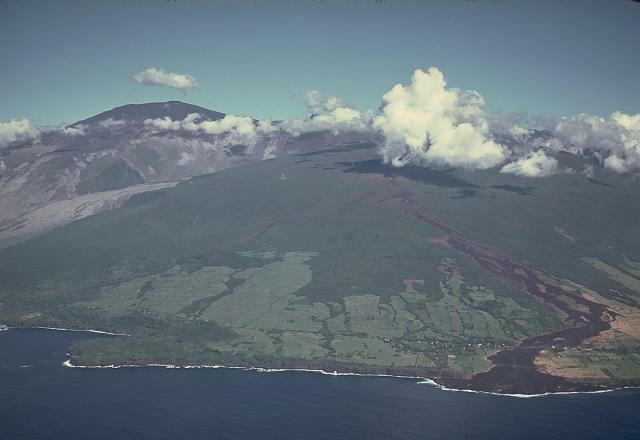 Seismicity was weak beneath Kilauea's summit, and tremor was at moderate-to-high levels at Pu`u `O`o. There were periods of small inflation and deflation. 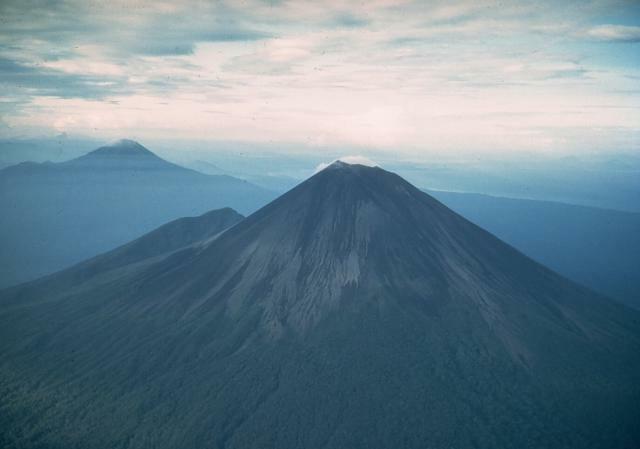 During 11-16 August several explosions occured at Santa María's Santiaguito lava-dome complex, producing ash plumes to ~1 km above the volcano. Avalanches of lava blocks and ash traveled S down Caliente cone. A pilot reported to the Darwin VAAC that on 10 August ash from Semeru was at a height of ~6.1 km a.s.l. 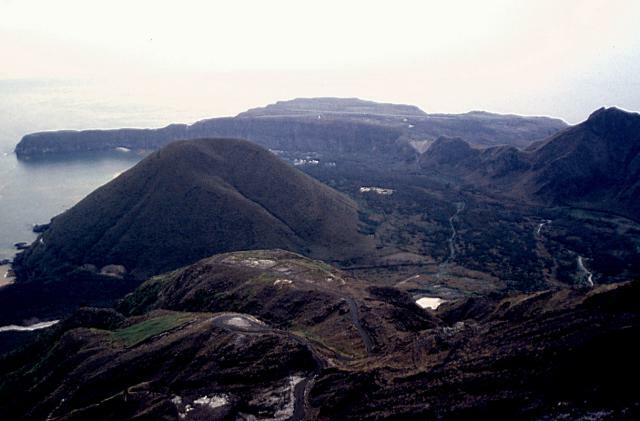 According to a news article, people were temporarily banned from climbing the volcano. During 6-13 August, seismicity was above background levels at Shiveluch, with weak earthquakes occurring 0-5 km beneath the active dome. On several days gas-and-steam plumes rose to a maximum height of ~2.9 km a.s.l. Shiveluch remained at Concern Color Code Orange. 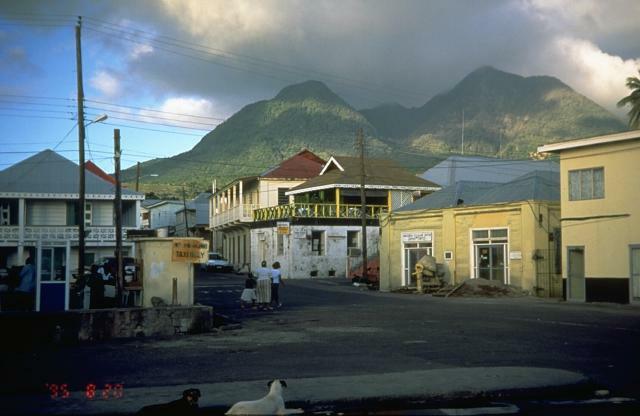 Volcanic and seismic activity at Soufrière Hills remained at low levels during 6-13 August. The seismic network recorded one hybrid earthquake and three rockfalls. The sulfur-dioxide flux varied between about 125 and 300 metric tons per day, averaging 200 metric tons. Ground deformation data from July suggested a reversal in trend from shortening between stations across the volcano to slight extension. 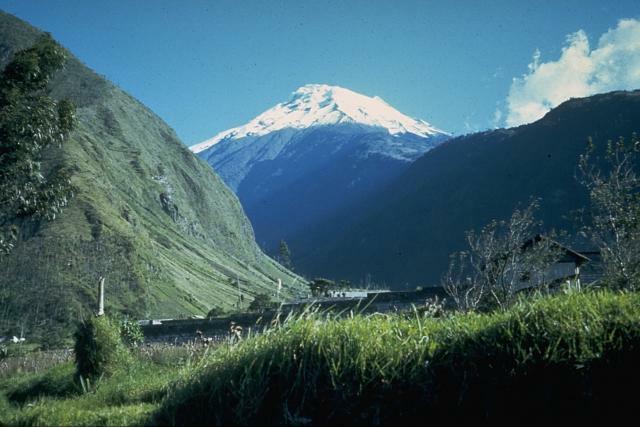 Volcanic and seismic activity at Tungurahua remained at low levels during 11-17 August. 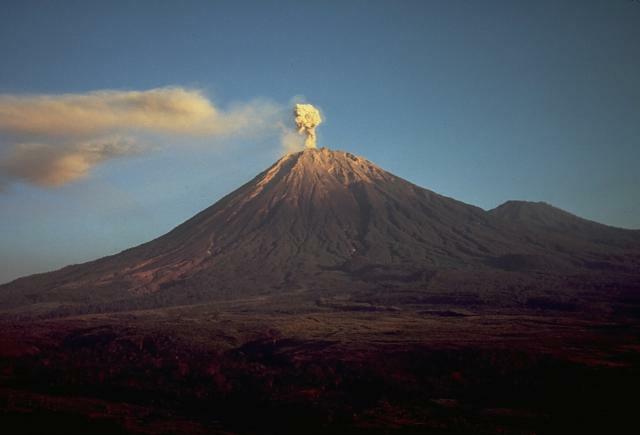 Emissions of gas, steam, and ash rose to ~1.5 km above the volcano and a small number of long-period earthquakes occurred. According to the Darwin VAAC, a thin plume emitted from Ulawun was visible on satellite imagery at a height of ~3 km a.s.l. on 14 and 15 August. During 6-13 August, frequent small ash-and-steam emissions from Veniaminof were visible on the web camera in Perryville and confirmed by AVO geologists working in the area. The emissions did not exceed a height of 3 km a.s.l. and were similar to those commonly observed in the past 2 months. 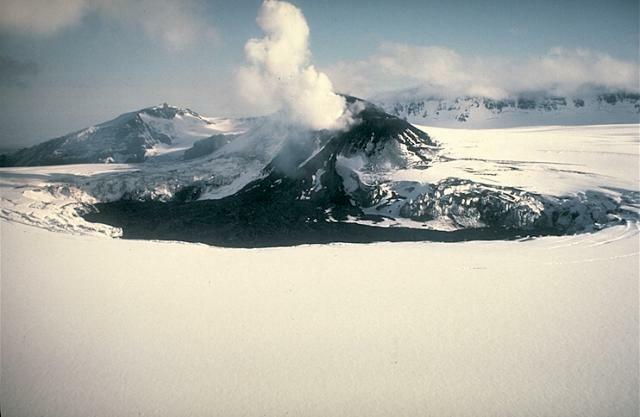 Bursts of volcanic tremor recorded intermittently on 17 August were probably associated with low-level, short-term ash emissions. Veniaminof remained at Concern Color Code Yellow.